Sitting or standing in silence in the cold Ugandan forest for 60 minutes is one of life’s greatest privileges that tourists enjoy on their Uganda safaris. There are about 1000 mountain gorillas in existence, and Uganda gorilla trekking safaris provide a rare opportunity to observe and interact with these gentle, mysterious primates. Mountain gorillas only live in the dense vegetation of Uganda’s Bwindi Forest Impenetrable National Park and along the dormant volcanic Virunga mountain range that stretches across Rwanda’s Volcanoes National Park, Uganda’s Mgahinga National Park, and Virunga National Park in the Democratic Republic of Congo. Since these critically endangered creatures can’t survive in captivity, the only way to see them is by taking a gorilla trekking safari Uganda up to their natural habitat in the misty cloud forests that have an altitude of over 14,763 feet. 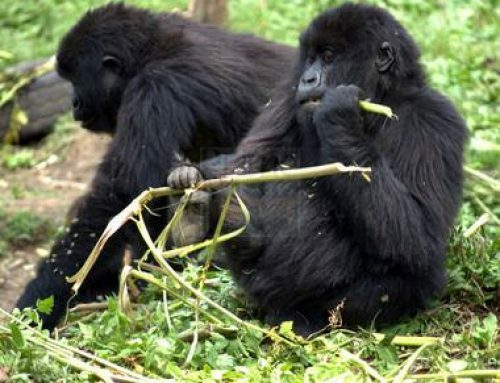 Uganda has two gorilla trekking spots; Bwindi Impenetrable Forest National Park and Mgahinga Gorilla National Park and this is where tourists go for Uganda gorilla safaris. Gorillas don’t mind about political borders, so they keep on crossing to the Virungas. 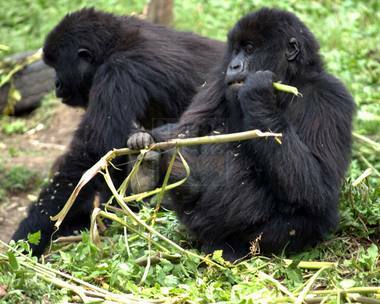 Bwindi Impenetrable Forest National Park is home to half of the number of the world gorillas. In Uganda, permit costs vary depending on the season. The standard permit cost is $600 while neighboring Rwanda permits cost $1,500. 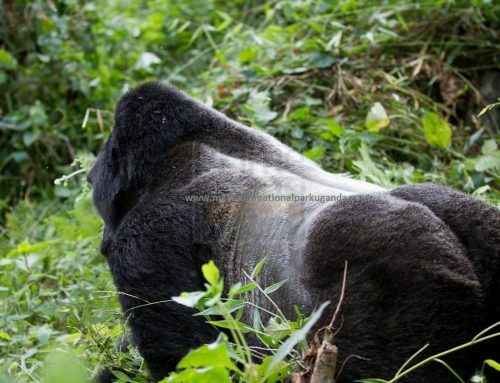 Most gorilla trekking in Uganda takes place in Bwindi Impenetrable Forest National Park Uganda. 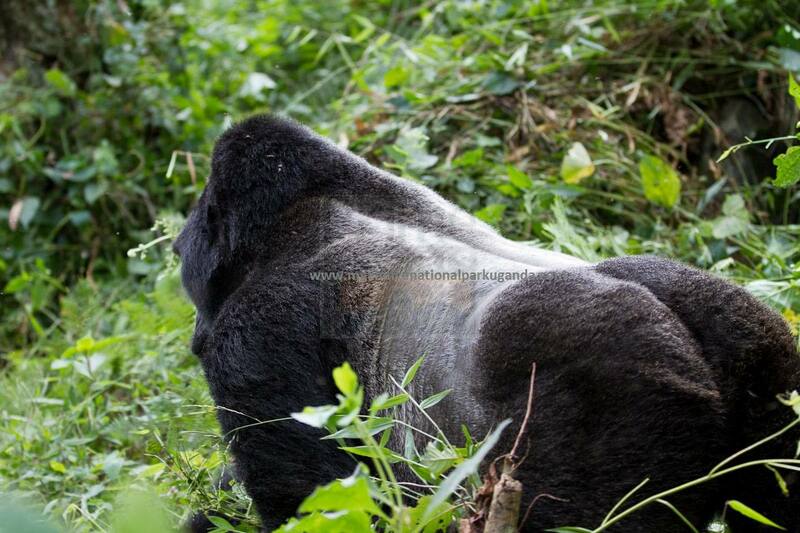 Bwindi Impenetrable Forest National Park has a big thick forest that favors the stay of these mountain gorillas. Because of the thick impenetrable forest in Bwindi, there are multiple starting points that were formulated and several gorilla families to track. 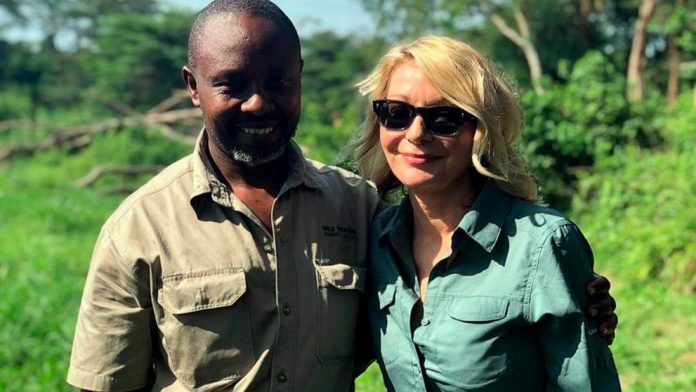 During your Uganda gorilla safari tour, the tourist is led by park rangers and only a group of eight is allowed to trek and observe the gorillas. After spotting the gorillas, tourists are allowed to interact with the gorillas for one hour, in silence and at a safe distance. Visitors have chance to see other primates besides the gorillas. 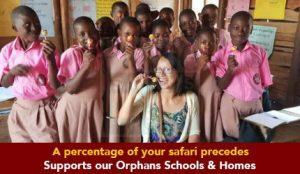 Uganda is a home to a variety of primates therefore, it is the right place to fulfill a primate lover’s dream. In addition to mountain gorillas, Mgahinga National Park is home to other primate endangered species known as the golden monkeys. These amusing monkeys live high up in bamboo forests. Tracking golden monkeys in Uganda is very similar to tracking gorillas, but the trek itself is not quite as challenging as that of gorillas. Furthermore, Bwindi has L’hoest monkeys, gray-cheeked mangabeys, and blue monkeys. 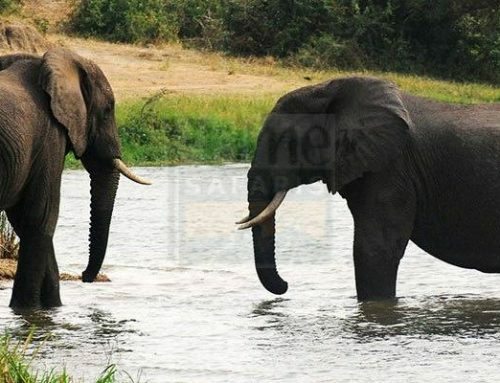 Kibale Forest National Park has chimpanzees, Patas monkeys roam around Murchison falls National Park while Queen Elizabeth National Park has blue monkeys and red-tailed monkeys among others. Visitors that have done gorilla safaris Uganda, have interacted with the Batwa indigenous tribe and have found their culture interesting. The Batwa tribe have for long inhabited this forest and rely on this forest for survival as well as accommodation. From the forest, they get food, medicine, they use it for hunting and reside in this forest too. When visitors visit their area, they put up a dance to entertain them, and teach them about their life style and survival skills of the forest.